What’s better than french fries? 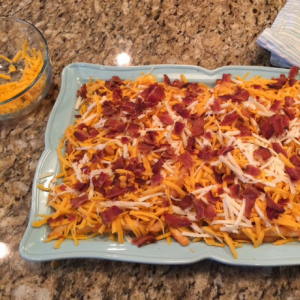 Loaded cheese fries! 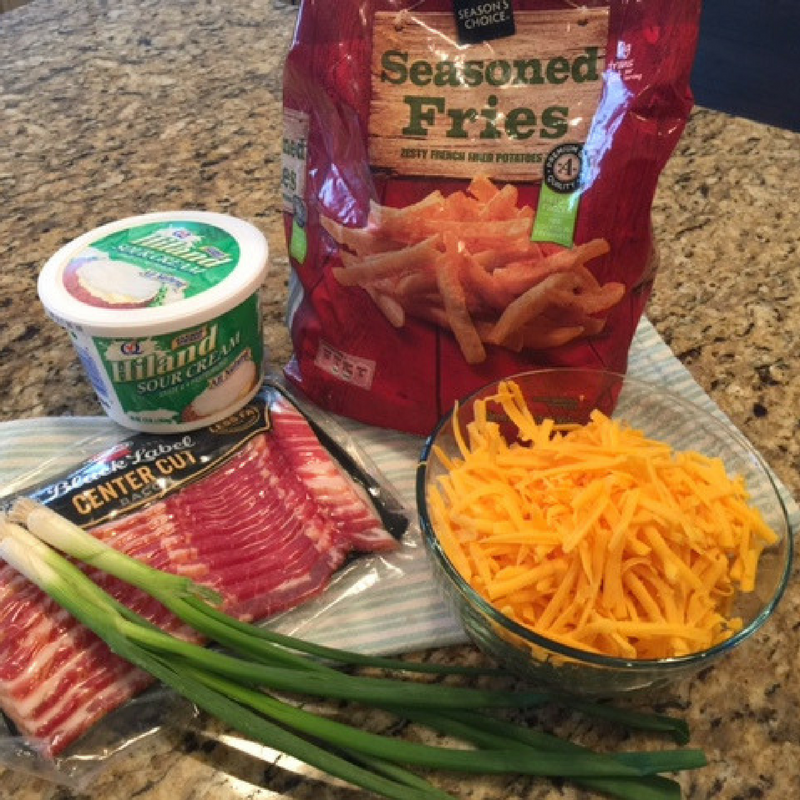 Today just so happens to be National Cheddar Fries Day, so I decided whip some up as a treat to my family. 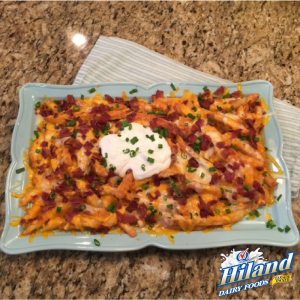 I topped them with fresh Hiland Dairy ingredients and watched them disappear right before my eyes. In a cast iron Dutch oven or a deep fryer, heat oil to 375ºF. Carefully fry the fries until golden brown and crispy, about 5 minutes. Remove fries with a slotted spoon and drain them on a paper towel. Transfer the fries to an oven-safe platter or baking sheet. 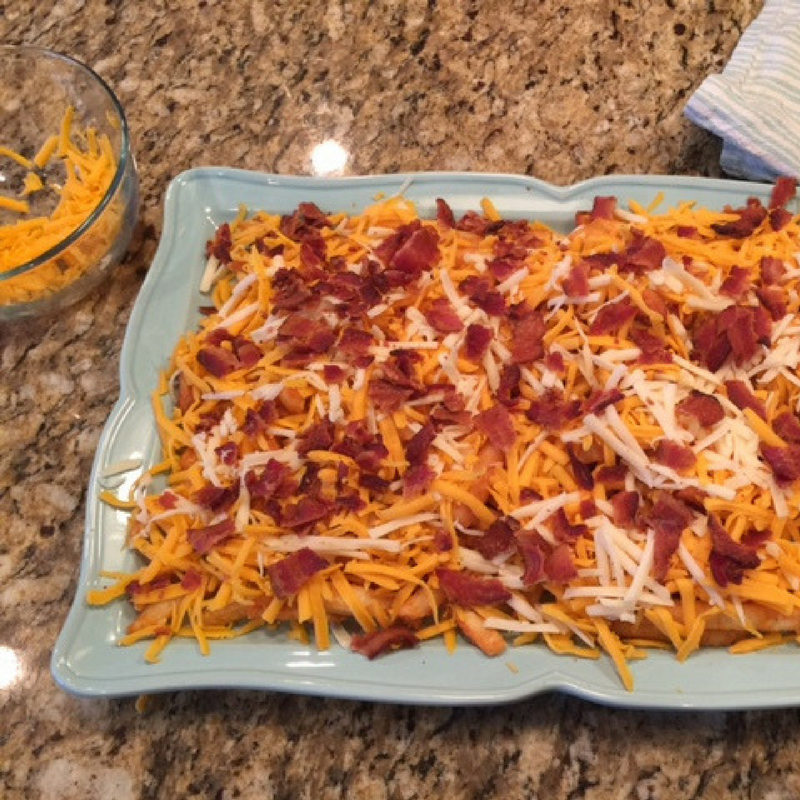 Top with cheese and bacon. 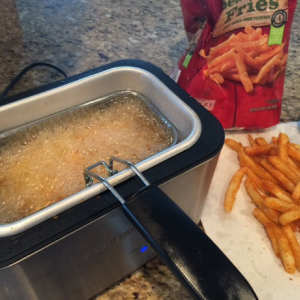 Broil the fries on low until cheese is melted, about 4 minutes. Remove from oven and top with chives and sour cream. Want a healthier version? 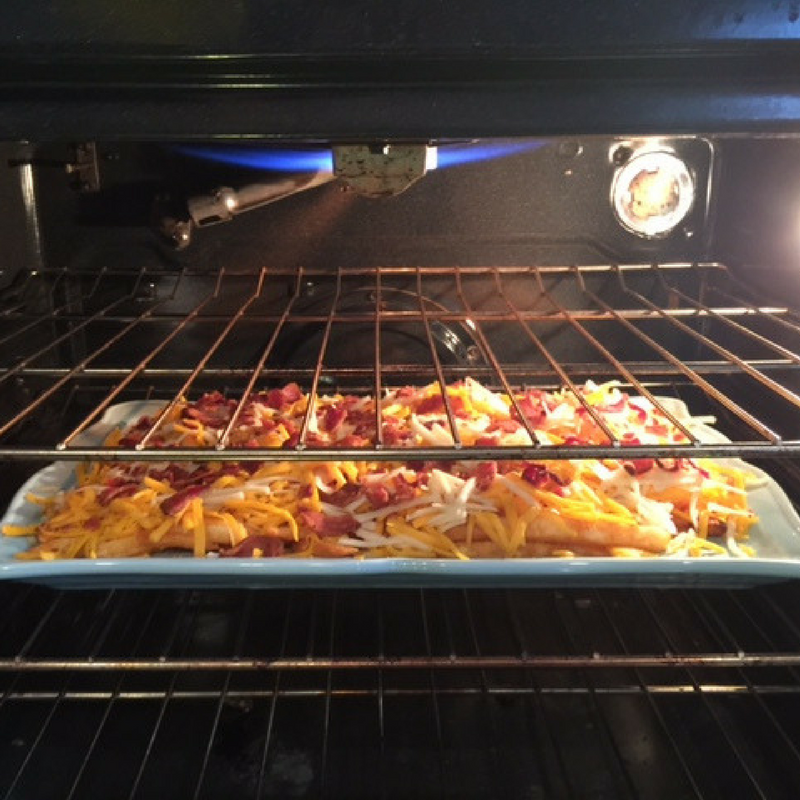 Simply bake the french fries in the oven instead of frying. Be sure to bake them longer than directed for a crispier texture.